If you are looking for information on the ADL Caring Companions franchise business opportunity, ADL Caring Companion franchises or ADL Caring Companions franchising, then you have come to the right place. With many Senior Care Franchise Systems available you're probably asking yourself the same question. At the time we opened our doors in 2002 there were plenty of established competitors including some well known franchises. Since then, ADL Caring Companions has become one of the largest In-Home Senior Care providers in San Antonio, Texas. A few years later we opened our second office in Dallas with the same great results. After being approached by several parties interested in the possibility of owning an operation of their own, our founder Mr. Patrick O'Hare decided to offer the ADL Caring Companions system as a franchise opportunity. It's no secret that the demand for senior care services continues to grow and is projected to keep growing for the next 20 years. According to US Census data, a significant increase in older Americans will occur over the next 20 years with the first Baby Boomers turning 65 in 2011. According to the American Society of Aging, there's a 70% chance that people in the US over the age of 65 will need assistance with Activities of Daily Living. Also, almost 80% of people who need long term care live at home and not in a facility. 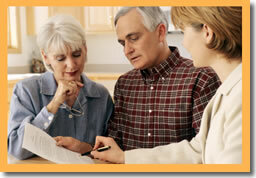 Statistically speaking there is not a better time to get into the Senior Care business. Now is this the time to learn it, staff up, and grow. In-Home Senior Care is a much needed and rewarding business giving its owners and providers a great sense of purpose and accomplishment. 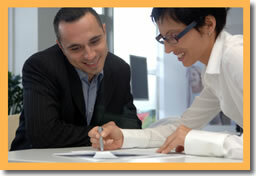 Some other franchise systems have chosen to franchise before they were ready, but we waited until the right time. We currently operate Two Multimillion Dollar home care offices ourselves and know what it takes to build a substantial business. 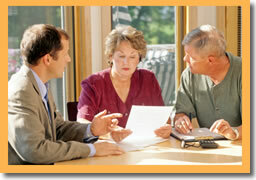 Our systems for operations and marketing are the same ones that have allowed us to grow large home care operations. As an ADL Caring Companions franchise owner you'll build your business with the exact same systems that we continue to use and refine on an ongoing basis. Our experience operating in different markets allows us to give you, the franchise owner, a custom designed plan for opening and successfully operating anywhere in the country. Different markets require different plans. There are many reasons why we concentrate on non-medical care and only hire and retain certain types of care givers. All areas of hiring and recruiting caregivers, finding clients, and operating your business are part of our franchise system. Our staff is proud and excited to be helping new franchise owners learn all aspects of running a successful home care business. We'll not only teach you great systems, but also a company culture and camaraderie that's second to none. We're able to operate large offices with a much smaller staff than the vast majority of other home care agencies which increases profitability for you, the franchise owner. With seven years growing and operating senior and adult care businesses ourselves, we have the experience and systems to help make you a success. We're only interested in those franchise owners that want to grow substantial operations in larger territories and those that meet our requirements for franchise ownership. Like any business, the right attitude, the necessary aptitudes and the proper capitalization are key. If you have those, we'll take care of the rest.